Mount Mary Named Winery of the Year! In the second half of the 1960s, doctors in the Hunter Valley, Yarra Valley and Margaret River tentatively embarked on journeys into the unknown: small-scale winemaking with financial aims of minimal importance, but there nonetheless. All were familiar with the great wines of the world (notably from France) and established benchmarks for their wines accordingly; Bordeaux was a common denominator, Burgundy next in line. Max Lake was the first to move to bottle wine for sale with Lake’s Folly (1966) in the Hunter Valley; Tom Cullity (1967) and Kevin Cullen (1971) followed in Margaret River; then came Peter McMahon (1970) and John Middleton (1971) in the Yarra Valley. All their legacies glitter brightly among the greatest Australian wineries today, but none more so than John Middleton’s Mount Mary. It is still family-owned and run, with John’s grandson, Sam Middleton, in calm, measured control of the winery, and with Sam’s father, David, content that it should be so. It is axiomatic to say that no two vintages are the same, and that the aim of a good (or great) winemaker is to make a better wine for a given set of growing season and vintage conditions than previously achieved. Or, to put it another way, there should always be an element of Socratean dissatisfaction. Such is Sam’s approach to winemaking. 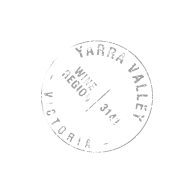 The 2015 vintage in the Yarra Valley was, quite simply, great, and Sam took full advantage of it, making exquisite wines. Just around the corner is the cool, dry 2017 vintage, promising to be as great as 1988 and ’92, picture-perfect across the Valley. But there’s more to the story. For some years there have been rumours of other varieties being planted at Mount Mary on an experimental basis, and wines made. Two of these have now been released under the label Marli Russell by Mount Mary, honouring John Middleton’s wife by using her maiden name. Here the compass takes in the Rhône Valley, with a marsanne roussanne white wine and a grenache mourvedre shiraz red wine – the latter including Australia’s foremost variety, shiraz, a style that John had precious little time for. RIP John, it’s just Socrates at work and casts no aspersions on the glorious wines you made, nor gainsays your supreme vision in buying and planting Mount Mary in the first place. Which brings me to the four master works, the foundations for which were created by John Middleton in 1971 and became legendary within a decade. A single word cannot possibly do justice to Mount Mary’s Quintet, Pinot Noir, Chardonnay and Triolet. But they are joined at the hip by elegance. By all means add balance, purity and length, and as a codicil add longevity demonstrated by an all-consuming tasting in 2016 of every vintage released of the four wines.